Frank (Boss) Pinkley, Supt. of the Southwestern National Monuments, 1934. A National Monument in the United States is a protected area that is similar to a National Park except that the President of the United States can declare an area of the United States to be a National Monument without the approval of Congress. However, areas within and extending beyond national parks, monuments, and national forests can be part of wilderness areas, which have an even greater degree of protection than a national park would alone, although wilderness areas managed by the United States Forest Service and Bureau of Land Management often allow hunting and grazing. National monuments can be managed by one of several federal agencies: the National Park Service, United States Forest Service, United States Fish and Wildlife Service, or Bureau of Land Management. Historically, some national monuments were managed by the War Department. National monuments can also be privately managed. National monuments can be so designated through the power of the Antiquities Act of 1906. President Theodore Roosevelt used the act to declare Devils Tower in Wyoming as the first national monument. He did so because he thought Congress was moving too slowly and it would be ruined by the time they made it a national park. The Antiquities Act of 1906 resulted from concerns about protecting mostly prehistoric Native American ruins and artifacts (collectively termed "antiquities") on federal lands in the American West. The Act authorized permits for legitimate archaeological investigations and penalties for taking or destroying antiquities without permission. 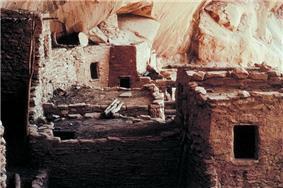 Additionally, it authorized the President to proclaim "historic landmarks, historic and prehistoric structures, and other objects of historic or scientific interest" as national monuments, "the limits of which in all cases shall be confined to the smallest area compatible with the proper care and management of the objects to be protected." The reference in the act to "objects of...scientific interest" enabled President Theodore Roosevelt to make a natural geological feature, Devils Tower, Wyoming, the first national monument three months later. Among the next three monuments he proclaimed in 1906 was Petrified Forest in Arizona, another natural feature. In 1958 Congress passed legislation to convert it to a national park but it was not completed until 1962 when signed into law by President John F. Kennedy. In 1908, Roosevelt used the act to proclaim more than 800,000 acres (3,200 km2) of the Grand Canyon as a national monument. In 1918, President Woodrow Wilson proclaimed Katmai National Monument in Alaska, comprising more than 1,000,000 acres (4,000 km2). Katmai was later enlarged to nearly 2,800,000 acres (11,000 km2) by subsequent Antiquities Act proclamations and for many years was the largest national park system unit. Petrified Forest, Grand Canyon, and Katmai were among the many national monuments later converted to national parks by Congress. In response to Roosevelt's declaration of the Grand Canyon monument, a putative mining claimant sued in federal court, claiming that Roosevelt had overstepped the Antiquities Act authority by protecting an entire canyon. In 1920, the United States Supreme Court ruled unanimously that the Grand Canyon was indeed "an object of historic or scientific interest" and could be protected by proclamation, setting a precedent for the use of the Antiquities Act to preserve large areas. Federal courts have since rejected every challenge to the President's use of Antiquities Act preservation authority. Substantial opposition did not materialize until 1943, when President Franklin D. Roosevelt proclaimed Jackson Hole National Monument in Wyoming. He did this to accept a donation of lands acquired by John D. Rockefeller, Jr., for addition to Grand Teton National Park after Congress had declined to authorize this park expansion. Roosevelt's proclamation unleashed a storm of criticism about use of the Antiquities Act to circumvent Congress. A bill abolishing Jackson Hole National Monument passed Congress but was vetoed by Roosevelt, and Congressional and court challenges to the proclamation authority were mounted. In 1950, Congress finally incorporated most of the monument into Grand Teton National Park, but the act doing so barred further use of the proclamation authority in Wyoming. In 1949, for example, President Harry S. Truman proclaimed Effigy Mounds National Monument to accept a donation of the land from the state of Iowa, at the request of Iowa's delegation. On those rare occasions when the proclamation authority was used in seeming defiance of local and congressional sentiment, Congress again retaliated. Just before he left office in 1961, President Dwight D. Eisenhower proclaimed the Chesapeake and Ohio Canal National Monument after Congress had declined to act on related national historical park legislation. The chairman of the House Interior Committee, Wayne Aspinall of Colorado, responded by blocking action on subsequent C & O Canal Park bills to the end of that decade. The proclamation authority was not used again anywhere until 1996, when President Bill Clinton proclaimed the Grand Staircase-Escalante National Monument in Utah. This action was widely unpopular in Utah, and bills were introduced to further restrict the president's authority. To date, none of them have been enacted. Most of the 16 national monuments created by President Clinton are managed not by the National Park Service, but by the Bureau of Land Management as part of the National Landscape Conservation System. New Monuments managed by the Park Service are Governors Island National Monument, Virgin Islands Coral Reef National Monument, and, formerly, Minidoka Internment National Monument (since 2008: Minidoka National Historic Site). African Burial Ground National Monument is a tiny archeological site in New York City. Northwestern Hawaiian Islands National Monument protects roughly 140,000 square miles (360,000 km2) of the Pacific Ocean, larger than all of America's national parks combined. (It was renamed Papahānaumokuākea Marine National Monument in 2007). Presidents have used the Antiquities Act's proclamation authority not only to create new national monuments but to enlarge existing ones. 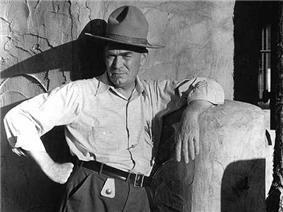 For example, Franklin D. Roosevelt significantly enlarged Dinosaur National Monument in 1938. 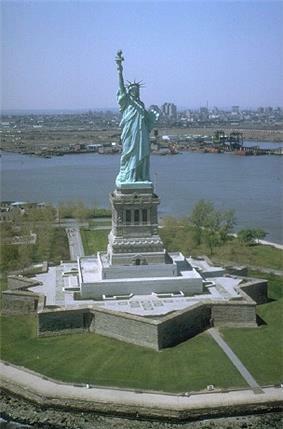 Lyndon B. Johnson added Ellis Island to Statue of Liberty National Monument in 1965, and Jimmy Carter made major additions to Glacier Bay and Katmai National Monuments in 1978. In January 2009, President George W. Bush used the Antiquities Act to create the Mariana Trench Marine National Monument, the Pacific Remote Islands Marine National Monument, and the Rose Atoll Marine National Monument. In April 2012 President Barack Obama established the Fort Ord National Monument in California's Central Coast region. In September 2012, Obama established the Chimney Rock National Monument in Colorado. and in October 2012 established the Cesar E. Chavez National Monument. In March 2013 President Barack Obama designated five new National Monuments: the Charles Young Buffalo Soldiers National Monument in Ohio, the First State National Monument in Delaware, the Harriet Tubman Underground Railroad National Monument in Maryland, the Río Grande del Norte National Monument in New Mexico, and the San Juan Islands National Monument in Washington. In May 2014, President Barack Obama designated an additional National Monument, the New Mexico  and in October 2014 he created the San Gabriel Mountains National Monument in southern California. ^ "Hunting in Wilderness Areas". United States Department of the Interior. Retrieved 2013-03-09. ^ "Grazing in National Forest Areas (and BLM Wilderness Areas)". United States public law. Retrieved 2013-03-09. ^ Glimpses of Our National Monuments. U.S. Government Printing Office. 1930. ^ "American Antiquities Act". National Park Service. Retrieved 11 October 2014. 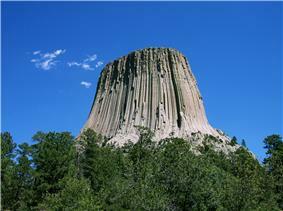 ^ "Devils Tower First 50 Years". National Park Service. Retrieved 11 October 2014. ^ "PUBLIC LAW 85-358-MAR. 28, 1958". Government Printing Office. Retrieved 11 October 2014. ^ "Records of the NPS". archives.gov. Retrieved 11 October 2014. ^ "President Obama Designates San Gabriel Mountains National Monument". The Whitehouse. Retrieved 10 October 2014.